Y’all. I made a Valentine’s Day treat a decent amount of time before Valentine’s Day. It’s a miracle! Let’s celebrate with cupcakes. 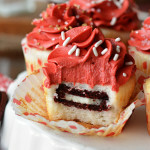 If you’ve been following this blog at all, you know Oreos and red velvet are two of my many obsessions. In addition to pink and sprinkles. Yes. You’ve probably also heard me talk about how soft and amazing Oreos get when you bake them. I ate one of these cupcakes right out of the oven, and when I sank my teeth into it, I couldn’t even tell there was an Oreo inside. Their texture completely changes and blends right in with the cake. It’s heavenly. 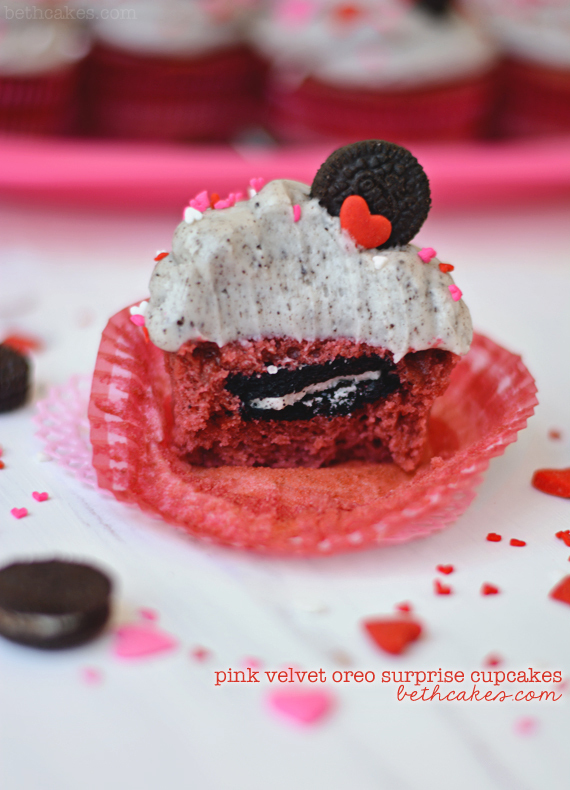 I first put an entire Oreo inside a cupcake a looong time ago. Like, almost three years? It was at the beginning of my old blog when I was just getting started. 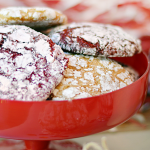 I’ve made them several times since then and experimented with other cookies like Tagalongs. Might have to do another Girl Scout Cookie version this year! Can we talk about super cute sprinkles for a second? I have always wanted a reason to buy these jumbo heart sprinkles. So I went into Michael’s to buy them and then I saw the tiny hearts and they’re just too dang cute. So I bought them both, obviously. 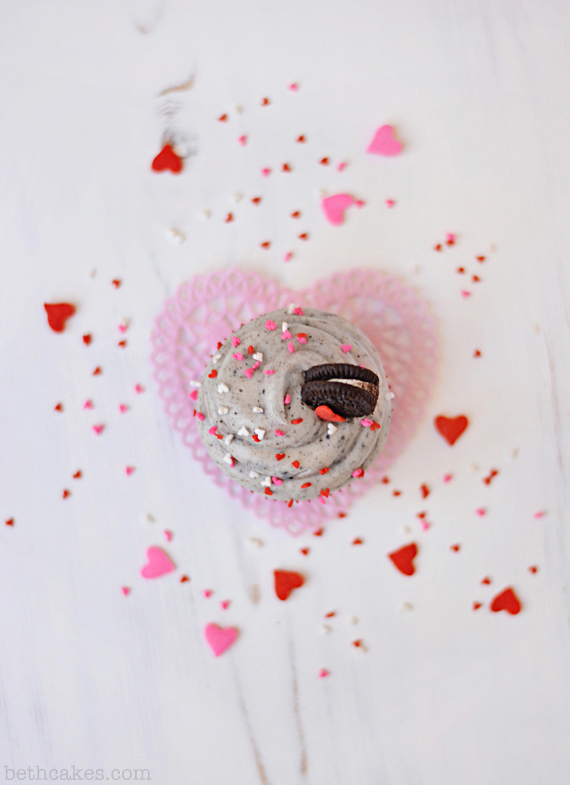 Heart sprinkles for days. Preheat the oven to 350 degrees. Line a cupcake pan with paper liners. Combine dry ingredients: flour, cocoa powder, and baking soda. Carefully whisk them together. In another bowl, combine sugar and oil and mix until combined. Measure out 1/2 cup buttermilk. Add the flour mixture and the buttermilk to the wet ingredients. Mix well and until everything is completely incorporated. 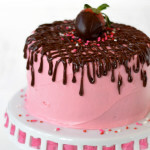 If your batter isn't as pink as you want it at this point, add another teaspoon of food coloring. Spoon cake batter into the bottom of one paper liner just enough to cover the bottom. Place an Oreo on top, and try to get it in the center. Spoon more batter on top of the Oreo, filling the paper liner about 3/4 full. Repeat with the rest of the cupcake pan. Bake cupcakes for 20 minutes. Remove the pan from the oven and insert a toothpick diagonally from the edge and into the center of the cake. If it comes out clean, your cupcakes are ready! If not, put the pan back in the oven for a couple of minutes. Let the cupcakes sit in the pan for a few minutes, then transfer them to a wire rack to cool completely. Cream the cream cheese and vanilla in a large bowl or stand mixer until smooth creamy. Add Oreo crumbs and half of the powdered sugar. Mix on low speed until just combined. Then mix on medium-high speed until completely combined. Repeat with the second half of the powdered sugar. Using an open, round tip, pipe frosting onto cupcakes. Top with Mini Oreos and sprinkles! All of Beth’s baked goods are good in some way, but these were extra good. I did not know there was an oreo inside and it put this cupcake over the top. But the frosting is killer too. Make these and your friends will have the same reaction. Wonderful. 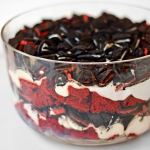 Baking oreos – that’s really cool! That’s really neat that they become soft and that’s a perfect match for some super soft cupcakes. 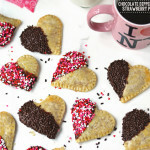 Good for you with getting the Valentines recipe before Valentines, holidays seem to sneak up so quickly! Thanks, Katy! I’m usually wayyy behind on seasonal recipes, haha. It feels nice to get one up in advance! These are over the top, seriously! The photos are beautiful too! Are these real? Oh my gosh Beth!! I’m in love! I’m also in love with your stunning photos…you are making me drool. omg they are so cute! i love the colors. I am so sprinkles-obsessed! 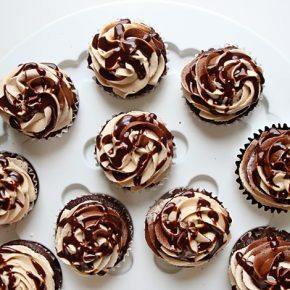 These cupcakes look so cute and the frosting sounds amazing! And I’m busy drooling over on your IG page :D.
Any dessert with with extra chocolate stuffed on the inside is all right by me! 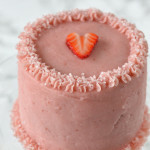 The buttercream frosting looks especially amazing. These are adorable! Some cupcake recipes, I just can’t wait for the cupcake to cool, I have to eat one immediately! NO way. These can’t be real. 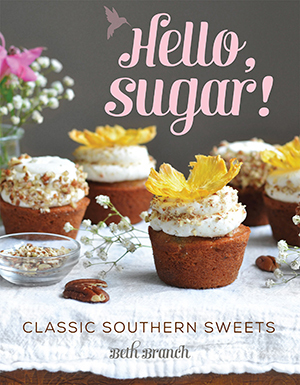 You’re gonna get me craving these until I make them ! Wow, just wow! 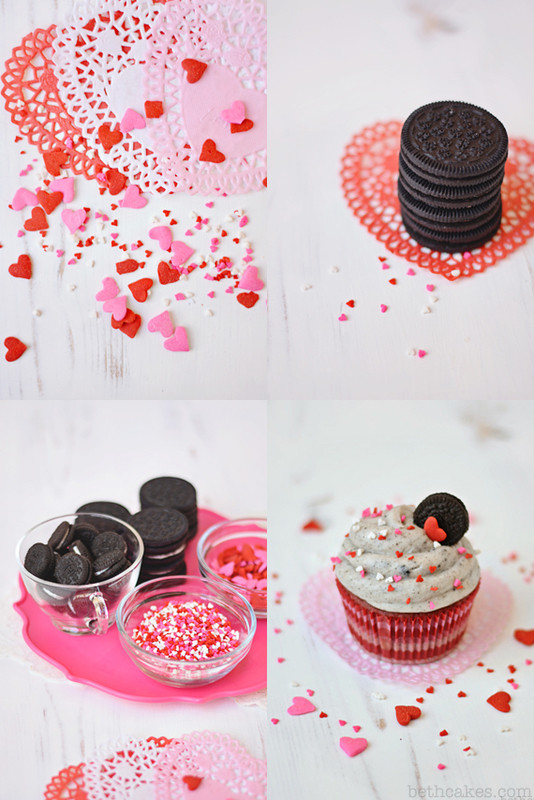 These looks so good, I think I could eat a whole bowl of that Oreo frosting! Ooo these look so pretty!! And that frosting looks so rich and creamy- Mmm. I could definitely go for one of these right now! Beautiful photos too! 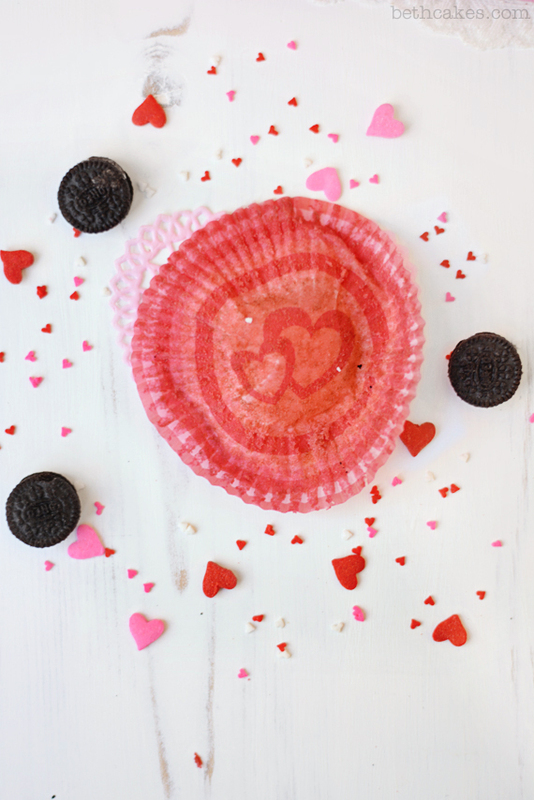 Nothing says happiness and surprise like oreos anywhere! 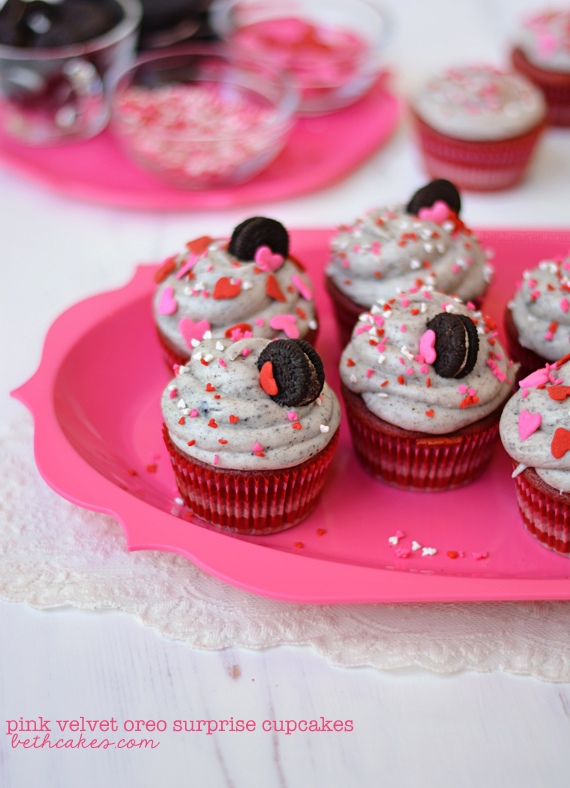 These cupcakes are adorably delicious! Where can I find the recipe for this?